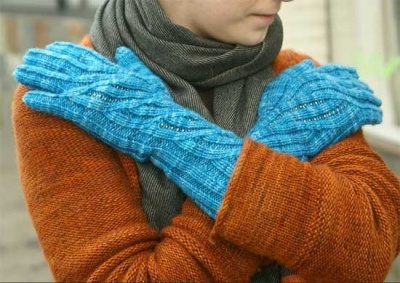 A beautiful new pattern from Sivia Harding, coming (as she puts it) "just in time for the lingering chill." 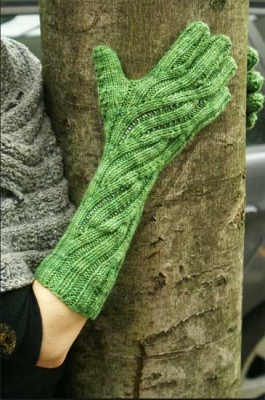 This is a beautiful design for beaded fingered and fingerless gloves. 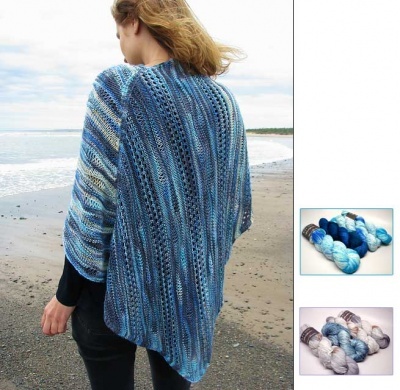 "The flowing, sinuous ribs create a delicious hug for your hands that is also very stretchy. 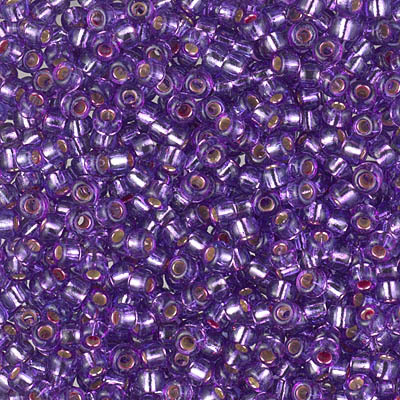 "Watch the ribs part to show the hidden beads glimmering when you stretch them over your hands, and don’t miss the special twisted stitch pattern that adorns the thumb. 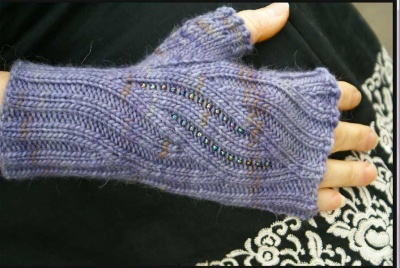 The pattern is written to fit a wide range of hand sizes. All you need is one skein (about 100 grams-worth (a bit less than 4 ounces-worth) roughly 225 yards) of a DK/Light Worsted Weight yarn and approximately 96 of size 6/0 beads (that is about 8 grams). These look like real beauties.